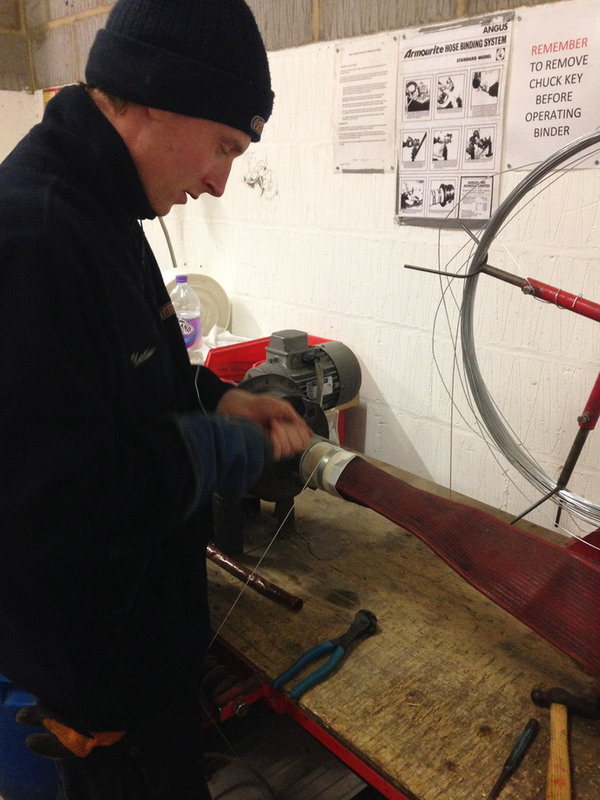 Flameskill can test, repair and maintain your fire hoses in accordance with BS 6391:2009. Flameskill tests fire hose for UK fire and rescue authorities, as well as many UK industrial brigades. Our marine service enables us to react quickly. If you have a fire hose that needs repair or replacing, Flameskill holds plentiful stocks to get you back on your way, with no hold-ups in port. All international couplings are available. The HTWT has been developed to enable pressure testing of waterway equipment without the need for an external pump or power source. Wet/Dry Risers, Fire Hoses can all be tested using this equipment. 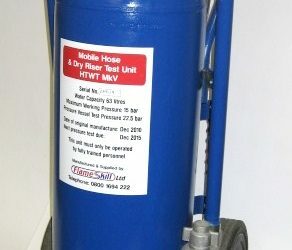 The unit, which is fully mobile, comprises of a CE marked 63ltr stainless steel water storage cylinder, a pressurising air cylinder and associated controls. Operation of the HTWT is a simple case of filling the storage cylinder with water, connecting to the equipment requiring test – Dry Riser / Fire Hose etc, – opening the water outlet valve, then opening the air supply valve and adjusting the regulator to the desired test pressure. Once the test has completed the air supply is shut off, and the vent valve opened. 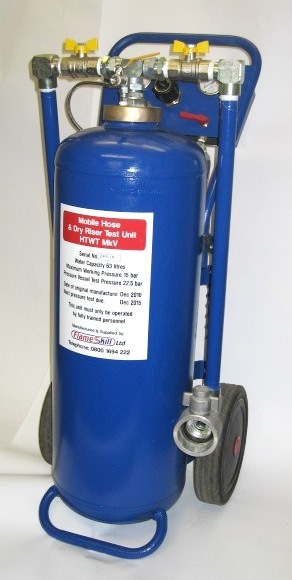 The HTWT is fitted with a standard 9ltr 200 bar compressed air cylinder. It has an adjustable pressure regulator and a 15 bar pressure relief valve is fitted to avoid over pressurisation. Where the water requirement exceeds 50 litres the unit can be refilled during the test procedure.